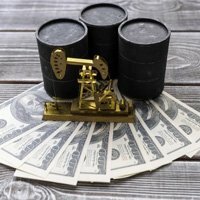 Money Morning's "unloved" pick of the week is oil and gas exploration and production company Apache Corp. (NYSE: APA). Money Morning Chief Investment Strategist Keith Fitz-Gerald recommended Apache stock last week, calling it a "hated stock" that presents a "terrific opportunity" for investors. Although APA stock fell almost 50% as a result of plunging oil prices, it remains a solid company.